There are many things I use/read/enjoy that could be helpful to you on your journey to financial independence and this page describes all of those great things! 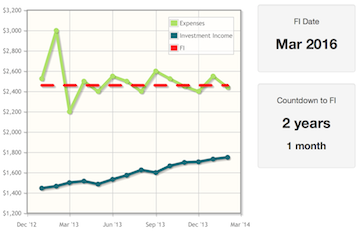 Track your progress to financial independence and find out when you will achieve FI in the FI Laboratory, the custom software I wrote specifically for fientists! 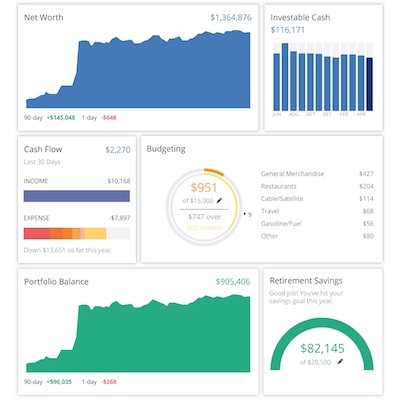 In addition to being able to track your progress to FI, there are also various calculators I created that will be useful on your journey to financial independence (see this post for more info). Click here to download the spreadsheet I used on my own journey to financial independence and check out this page to learn all about it. When planning for early retirement, it is helpful to run your numbers against historical market data to see how your early retirement plan would have fared in the past. FIRECalc is the original Financial Independence Retire Early (FIRE) calculator and while the interface is a bit cumbersome, it is extremely powerful. The Crowdsourced FIRE Simulator (cFIREsim) is another great FIRE calculator with some really cool features and unlike FIREcalc, it is still under development so expect more functionality to be released in the future. Mint is a free online tool that pulls your financial transactions directly from your bank accounts and automatically categorizes your spending. While Mint is great for spending categorization and budgeting, it’s not great for portfolio management. Luckily, there is another free online service called Personal Capital that automatically pulls all of your account data and provides very useful tools for monitoring and managing your accounts and investments (for a full review, check out the this article). Vanguard offers the best and cheapest index funds so that’s why most of my money is invested there! The Fidelity Cash Management Account reimburses all ATM fees and offers unlimited free checks so it’s a great account to have, if only for those two reasons. When you’re traveling and need to get somewhere quickly, hail an Uber rather than a traditional cab. 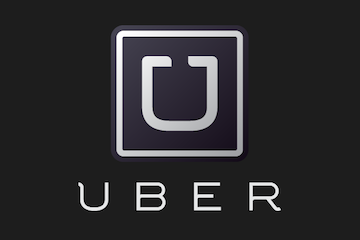 Their excellent mobile app allows you to request a ride from your phone, watch the car on a map as it comes to pick you up, and then automatically pay when you get to your destination (you don’t even have to tip)! If you sign up with this link, your first ride (up to $15) is free! Signing up for lucrative credit-card offers can allow you to travel for very little money. An integral part of being able to apply for the best credit card signup bonuses is having a high credit score and to make sure your credit report doesn’t contain any errors, you can receive a free credit report from each of the three major credit bureaus once a year at AnnualCreditReport.com (Note: that there are many scams out there that say they will give you a free credit report but will then also sign you up for an expensive credit monitoring service so only use AnnualCreditReport.com to get free credit reports). To find the best credit card signup bonuses to apply for, I created the ultimate credit card search tool for travel hackers – Mad Travel Cards. Simply choose the programs that you’d like to accumulate points in and the application will show you the best cards currently available for those programs. It is great for people who want to get the benefits of travel hacking without doing the hours and hours of research themselves. If you want to set up your own website to earn some additional income on your path to FI, I recommend Dreamhost for hosting. The Mad Fientist has been hosted on Dreamhost since the beginning and even though I’m now getting hundreds of thousands of page views per month, I’m still only paying $15 per month for fast, reliable service. Sign up here to get $25 off an annual shared-hosting plan! If your website develops an audience and you want to email that audience, I recommend you use ConvertKit. I recently made the switch from MailChimp to ConvertKit and I’m really glad I did! There are so many things that I love about ConvertKit (too many to list here) so just email me if you want to know why I think it is the best email-marketing solution available. How I Found Freedom in an Unfree World by Harry Browne – My buddy Jim from jlcollinsnh.com recommended this book to me and it blew me away. It changed how I approach life in the same way reading Early Retirement Extreme many years ago changed the way I approach my finances. If you prefer listening to books rather than reading them, click here to sign up to a free 30-day Audible trial and get your first audiobook for free! Yes, you can open a Traditional IRA at Vanguard (that’s where I have mine). Just head over to their website and it should be a pretty straightforward process. Give them a call if you get stuck with anything but I can’t imagine you will. Glad you’ve been enjoying the blog! I opened a Roth IRA with Prudential through my financial advisor a couple of years ago. Now my husband is going to open his Roth IRA, but I am not sure if I want to go through the financial advisor for that or not, or whether I want to stick with Prudential for his IRA or not (I’m basically opening the fund for him). Are there significant pros/cons to opening my own IRA through Vanguards website, for instance, and just opening another IRA through my financial advisor? I am pretty new to this stuff. I imagine the costs would be higher going through a financial advisor so if it were me, I’d just go directly through Vanguard. It is really easy to set up a new account but if you run into problems, you can give them a call and they’ll help you through the process. Thanks for your advice. What if I am in the same situation (opening a fund with Financial Advisor vs. opening an account on my own), but with money that I want to be fairly liquid? That is, I most likely won’t be accessing this savings for about 5-7 years, and I expect to be adding about $10,000 to it each year. I have a mutual fund that I opened through my financial advisor, and she does offer advice and try to educate me on my accounts. However there is a 5% administrative fee on the amount that I deposit, and after 7 years that will add up to quite a lot of money, in my opinion. I can’t decide if that fee is worth having her guidance there. So I am thinking about not adding any more money to the account through her, and opening a new one on my own. Essentially I just want to open a fund starting with $10,000, and keep adding 10,000 each year while getting some sort of return, or at the very least keeping up with inflation. Do you think it would be simple to open a mutual fund (or another fund) through the Vanguard website as well? A 5% admin fee?!? That is insane so yes, I’d suggest you go out on your own! It is very simple to open an ordinary taxable investment account through Vanguard so just give them a call, tell them what you’re hoping to accomplish, and I’m sure they’ll guide you through the process. So when you say you built travelerplastic, does that mean you own it and get the commissions for it? I’m planning on getting a few new credit cards next month and figure I might as well give someone a commission for it, just trying to figure out who that someone should be. Hey Roger, that’s very kind of you. Yes, I do own Traveler Plastic but sadly, the credit card affiliate programs are notoriously difficult to get into so only a few cards on that site actually pay me anything. If you send me an email before you apply though, I can send you my creditcards.com link, which should kick me back something if you apply through their links. When you email me, let me know what cards you are thinking about getting. I’m actually planning my next round of applications so I’m interested to hear what you’re going for this time. Hey Star*Bucks, just go to the About page and you’ll find my contact information there. Does Vanguard have the equivalent of the Fidelity cash management account that also reimburses ATM fees, offers checking and online bill pay, etc? I knew I was going to love this blog when you mentioned you had read How to Live Free in an Unfree World, and ERE. They both were life changing, spend changing for me. Absolutely, Beth. An incredible book and an incredible blog! Have you seen a web-based or software tool that estimates future dividend income giving your current portfolio composition? If you haven’t achieved FI (yet!) and are still working, a historical view of portfolio dividend income earned is less important than understanding how much annual dividend (and interest) income my current portfolio would earn in the future, including the contributions I just made. Hey PK, I don’t personally use anything that does what you described. Has anyone else out there come across something like that? Do you know, concerning the Barclay Arrival Card, if I don’t plan on spending my miles within the first year, can I downgrade to the no fee card and still hold on to my points for using later? Thanks. Hi Johnny, you should be able to do that so just give Barclay a call when your annual fee is close to being due. Is there more of an advantage collecting miles/travel perks vs. cash back cards. Wouldn’t you prefer to receive cash rewards and use those for travel? I actually keep track of how much value I get out of each program so that I can see if I’d be better off getting cash rewards instead. Since I spend just as much time figuring out how to best use my miles/points as I do figuring out how to get them, I currently get much more value out of my miles/points than I could get out of a 2% cash-back card but if that changes for some reason, I’ll just switch to the Barclaycard I mentioned above to get ~2% cash-back everywhere. Been looking for a service/ software to use without having to connect mine and my wifes investment and banking passwords and just found your fi lab. Just set up an account and plan on putting it to use this january. Thank you so much for this free software that includes the graph. Just wanted to let you know that it is very much appreciated and looking forward to using it for many years to come. Thanks Mad Fientist and merry christmas to you. My pleasure, Eric! Thanks a lot for the comment. Has the FI Lab been useful to you so far? I love the site. Thanks for all the effort you pour into it. I’m pretty new around here but have pretty much consumed each of the blog posts and podcasts available. I have now come to the point of attempting to make use of one of the tools but am having trouble doing so. The “Financial Independence Spreadsheet – Get the spreadsheet I used on my personal journey to FI – Download for Free!” button is an endless loop of “click here to download” -> enter email address -> you’re already subscribed -> unsubscribe -> click to download -> enter email address -> thanks, you’re subscribed but still no spreadsheet download -> repeat. How can I obtain a copy of the spreadsheet? You should have received an email within an hour of signing up to the email list that includes links to all of the free tools. Did you not get it? Please disregard my previous comment about how to obtain the FI spreadsheet. I found the link in the welcome email. Thanks! Uber, however, requires a smart phone of certain types (won’t work with a Windows phone but Android, iPhone absolutely) which means a 2-year financial commitment into a plan, with monthly fees OR buying the phone outright (front load the cost) then shopping for a provider. Wouldn’t the cost of a locked in 2 year commitment be greater than the occasional taxi/towncar trip? I prefer the freedom of pay-you-go but that just works for me and my mobile work situation, instead of paying a huge penalty breaking local phone contracts constantly. There are a lot of smart phone companies out there now that have pretty cheap phones and plans. I use Republic Wireless. They have a phone for $100 and you can get a plan with unlimited minutes and texts for $10 a month. No contract. I now there are others out there too, but that’s what I use. I bought a used iPhone 4 off of my colleague for $50 and I have the $10/month Airvoice Wireless plan that MMM wrote about. Nate’s suggestion is a great one as well. Unfortunately, I am Canadian so a lot of these great US plans are absent here. Do you have an iPod Touch or something you could use on wifi? If not, just use taxis because it doesn’t sound like it would be worth the hassle and additional expense. When using the firecalc and and cfiresim, does home equity count when you enter your “portfolio” or “how much you have?” I’ve read a bit of the fine print and can’t determine if it counts. I don’t think MMM counts it, but my memory might be wrong on that. It depends on your plans after you quit your job. Will you sell your house and rent or will you keep living in that house? If you sell your house and rent, your net worth will be higher but so will your expenses but if you stay in your house, the opposite. I counted my home equity in my net worth because I knew I’d be selling it before I quit my job but I also forecasted higher monthly expenses in retirement to account for future rent expenses. I seem to be having trouble gaining access to the lab. I’m already subscribed. When i click on it, i get the subscribe screen again. There doesn’t seem to be a login. So I type in my email that I subscribed with and get an error that I’m already subscribed. Still can’t get into the lab or download the spread sheet. Did you get an email with the subject “Welcome!” from me? If so, that email contains the links to both the spreadsheet and the FI lab. Send me an email if you’re still having issues. This! The endless login loop of death! I had the same experience tonight and received several “Update your profile” emails that sent me nowhere, before I gave up. Hi Kristi, I just sent you the welcome email so sorry you had issues! What do you think about the Schwab Investor checking account? Similiar to Fidelity. Trying to decide between the two. I am interested to see if anyone has a good model or predictor for using an HSA vs a low-deductible plan. I went with the HSA this year, along with a high dedcutible plan, and then ended up having a lot of medical expenses and meeting my deductible. Which I feel like is a “bad thing”, and I feel kinda burned. I think I should have had a lower-deductible plan. I am planning on changing back to the low deductible plan next year, but I want to make sure it will be the right move. I don’t really need the HSA yet for an “extra place to put money” (i.e., I haven’t managed to max out my 401k and Roth IRA in the same year yet and I am in my 2nd year of work). Once I am doing that, I feel like I should go to adding the HSA. On my own I am planning on looking at all the claims I had, and trying to calculate what I would have spend and gotten paid by my insurance company if I was under the other plan. Then forecast into next year the same thing, but this sounds like a very tedious and manual process. Any thing you use to help in that decision? It’s not terrible. At the point where I am it benefits me to have a high-deductible plan. I usually figure out how much I absolutely need to set aside for the HSA (Average of all medical expenses over the last 3+ years (+/-)). Then I find out what my yearly cost is for the HDHP – I’m biweekly, so I have to multiply the paycheck premium by 26. I do the same thing for a PPO every year, however, I use the PPO plan co-pays instead of the expenses. Some things, like prescriptions need to be estimated. Some pharmacies will give you a quote with your insurance information, but they generally get cranky about doing it. It’s a little bit of work to figure out, but if you keep good records – like you should for an HSA, it’s not as big of an undertaking. You can compare the out of pocket costs, including premium and get a ballpark of what the best path forward is for you. Also remember, if you use your HSA as an additional vehicle for investing (HealthEquity is really great for this), it currently behaves like an IRA at retirement age. Correction – Tax savings is subtracted from the (HSA Contribution + Premium) not added back, and remember, you cannot calculate tax savings on co-pays unless it falls within the IRS guidelines (Publication 502 https://www.irs.gov/publications/p502/). Hello, could you direct me to any posts on how to choose correct savings plan for your kids? I have an infant son and thinking of setting aside a fund for him. Please advise. 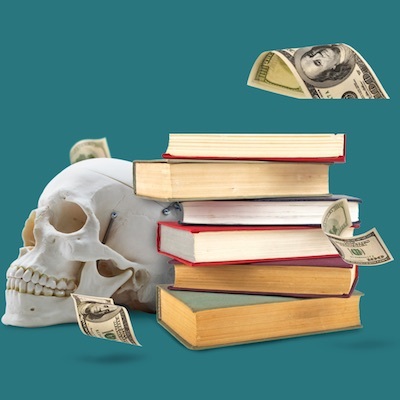 I’m hesitant to set aside money in a college fund given the way education is transforming. Thank you. Thank you for a wealth of information! I wander how your hypothesis and analysis of retiring young would change with kids and especially if you had a child with special needs. We have 2 children and one of them needs a specialized school setting. He has attended for 3 years now and the tuition has gone from a horrid $53,000 per year to $65,000 per year. I can not even imagine what my son will need in the years ahead. How does one take this into account – both the uncertainty and the major expense on a frugal budget. Additionally, I have not yet found how you factor in health care expenses (both insurance) and unplanned expenses into your FI calculation. Thank you for your thoughts on both. Hi there! I’m new and hooked… can you recommend any “current financial writers”? * I am considered “low income” on taxes because child support does not count as income and because of my low income status, I can do the MA solar loan (3.25% for 10 years) and they will pay 30% of my loan! You are allowed to pay as much as you want within the first 18 months and then you can refinance the loan. Loan will probably begin in May 2016. I think I can pay it off in 2 years. Total for loan is $42,000. * I am getting approx $13,000 tax credit from federal and $1000 from state. I normally don’t owe much tax so to take advantage of this I thought it would be a good idea to rollover some of my IRA to a ROTH IRA? If this makes sense, WHEN should I do the rollover? Question about the “Time to FI” calculator – is it possible that there is something amiss? I notice if I INCREASE my withdrawal rate, all else being equal, my time to become FI DECREASES while I would expect the opposite to be true. Lowering your withdrawal rate means you’ll have to build up a bigger balance to pay your bills so that will increase your time to FI. For example, if you have $30,000 worth of annual expenses and you plan to withdraw 4% from you portfolio to fund those expenses, you’d need to save up $750,000 ($750,000 * 4% = $30,000). If you instead decided to only withdraw 3% from your portfolio each year to fund those $30,000 worth of annual expenses, you’d have to wait until you had $1,000,000 before you could retire ($1,000,000 * 3% = $30,000). Your portfolio will have a greater likelihood of lasting longer with a lower withdrawal rate but it will take you longer to build up enough to retire. Could someone explain to me why, when I enter a larger value in the “Withdrawal Rate” field, my “Time to FI” actually goes down? I’m clearly misunderstanding the purpose of this field. When I enter “100”, it says I am financially independent. When I enter 0 (will not withdraw during retirement), it says I can never retire. What is the value for this field actually supposed to represent? “The rate at which you will withdraw from your accounts during early retirement”. I thought I understood what that means clearly enough, but the calculator’s math obviously reflects something else. Could someone clarify please? Nevermind, I just read the previous answer, sorry about that. Your answer strikes me as reflecting a bizarre set of assumptions; no one would ever determine a withdrawal rate independently of the amount they need to live on each month. Just me, probably, but I guess I take some comfort in knowing I am not the only one confused. Cheers. Thank you very much for unique and eye-opening posts, resources, and podcasts! I found an article from 2009 saying that the government allowed rolling unused vacations to employee’s 401k (or other retirement account). I am planning to quit being an employee (and hopefully go as a consultant/contractor for my current employer). If something like rolling money for unused vacations to 401k exists, I would love to take advantage of that instead of getting cash (and bumping my tax bracket). If you know anything about it, I would love to hear your take on this. I also wonder about any related regulations/rules that I should consider. @madflentist found you off a FI/RE movement article and I love what you listed here. A small note, Mint is fairly ineffective these days (personal experience). Ever since they switched from Yodalee to Intuit it’s just not as good since a lot of institutions end up blocked on their tracker. The scales tip towards Personal Capital which is what I use nowadays. For some reason, a lot of the links are not working today. FI Laboratory, FI spreadsheet. Nothing happens when I click on them…. I am a Danish university student, currently on exchange in Edinburgh. I was wondering if you have knowledge of any FI’ers outside of the US – most of the advice you and your co-bloggers give is specific to the US system – although a lot of the advice is still relevant across borders, some things are not applicable. I am researching and translating a lot at the moment to seek out which oportunities I have as a Dane as we speak. I listened to your podcast on millenials, and that inspired me a lot – do you also have any good places to seek out information on FI for students? Since I’ll be in Edinburgh until May, please let me know if I can take you up on you and Jill’s offer on going out for a beer when in town. UK reader new to site and new to all things FI! Really interested in making a start on my own path but virtually all the sites for tracking and investing seem to be US based. – Is there a UK version of Mint or Personal Capital that you would recommend? – Can I still invest with companies such as Vanguard & Betterment from the UK? – If I do will I incur any additional charges (currency conversion etc.)? – Are there any UK equivalents that you would recommend? Great site and great podcast by the way….keep up the excellent work. I am a qualified public safety employee, if i retire before age 50 when does the 10% penalty for early withdrawal expire? Does it expire at age 50 or does it now extend to 59 1/2? Great information and well presented, thanks in advance. First time visitor to your website and it is absolutely amazing, You are truly living the dream! I read through some of the blog posts and they are so well written. I noticed that many of the resources and tips given to achieve FI are geared towards individuals in the United States which is totally understandable. Since I live in Canada many of the tax avoidance tips given are not applicable so my question is- would you happen to have any investment or supplemental income (besides creating a website) ideas for someone living in Canada using strictly Canadian investments or supplemental income ideas or know anyone in Canada who has followed a similar journey as yours but have used various Canadian instruments to gain FI, and if so if there is any way I can get in contact with them to pick there brain a bit? Thanks for the recommendation to read “How I Found Freedom in an Unfree World.” Great book with some very practical insights. I’m using a lot of Browne’s thinking day in and day out. Good one! Just found this, I love your information. I am getting ready to retire, I wanted to know which calculator to use. We are a two pension household, with a little over 800,000. In retirement accounts. All of the calculators I have tried to use up to this point haven’t been helpful, they don’t account for the pensions. Any suggestions? Is there a comments page regarding CC for travel discusion? I want to do it, just leery of having CC I don’t need. If I get a card with a Fee ($95) and get my points, do I cancel it at the end of a year? Are there any gotchas if you cancel after one year? If I get a card in my wifes name can I use those points for me to fly? In my short search it seems like a point is worth about $1 is that about right? on how to to put money on a card you would not normally spend? What I do to avoid the fee is rotate between me and my wife. I got the card first, and then a year later my wife gets the card and I DOWNGRADE mine to a no fee version. Every two years you will be eligible for the sign-up bonus. So in the second year, call up the bank and ask them if you qualify for the sign-up bonus and if you do, UPGRADE back to the original card and DOWNGRADE your wife’s card. Rinse and repeat for both you and your wife. You are able to combine points within household so you and your wife will share the same points. The airlines don’t care whose name is on the CC, but the points will have to come from the same account. So if you and your wife each have an airline loyalty account, then only transfer your combined points into one account. What we do when it’s time to fullfill the sign-up bonus required spend is put literally everything we can on the card. This can be a slight pain when it comes to changing auto-payments, but the sign-up bonus definitely outweighs the inconvenience for me. If you don’t normally spend enough to make the sign-up requirement, some options you can look at: buy gift cards to stores or gas stations you are going to shop at for future use, have friends/family pay you cash to buy their stuff, pay your taxes (has a fee included, but may be worth it if you are close). Whatever options you decide the most important thing is to make sure that whatever amounts you put on the credit card you can pay IN FULL when the balance is due. No sign-up bonus can overcome the interest that must be paid on cc balances. Hi MF! Thank you for all your genius work! I am poking around looking for info on backdoor Roth contributions. I have read about them before but I am still not clear on how to do this. You are so good at all this tax avoidance! I can’t wait to put some of your tactics into practice! And I am hoping you can explain this conversion to me so that I might be able to actually do it! I’ve been reading MF, jlcolllinsnh, and some of the other FIRE blogs for many months now. What I haven’t been able to see a clear picture of is how you transition from the building wealth stage to wealth preservation/retirement stage. Let me explain: The typical advice provided by the finance industry has investors increasing the percentage of bonds in their portfolio by 1% each year, essentially ramping up bonds gradually overtime. But since so many FIRE evangelizers eschew the rhetoric of the typical formulas of (bonds = age) or (bonds = age-10) or whatever the latest version is, I don’t fully understand how this change occurs. When I read jlcollins Stock Series he discusses the wealth building stage (100% stocks) and the wealth preservation stage (something like 60/40), but doesn’t really explain how to connect the two. I assume one doesn’t just wake on the first day of retirement and update their portfolio from 100% stocks to 60/40. Can you please advise? I’m 28 and have settled upon an 80/20 allocation for myself, but I just want to know how long I maintain that and how one transitions to a more conservative allocation. I am a huge fan of your podcast and take every chance I can to soak up some of the knowledge you give out to us about FIRE. I’m actually pretty close to making the jump myself. The only thing I’m unsure about is health insurance. From what I’ve read most early retirees have been happy with a catastrophic plan. My situation is slightly different in that I don’t think a catastrophic plan will work. I have a wife and kid. Right now everyone is covered under my plan offered by my employer. I have to go to a clinic every month for a treatment for a genetic disease. With my insurance, I currently only have to pay $135 per visit. Without insurance, it’s somewhere in the neighborhood of $10,300 which is definitely not affordable. To buy the same coverage from the same provider directly is too expensive (I’d be better off just staying in the workforce). So how do I get an insurance that is comparable to what I have, yet still affordable on an early retirees income? I would love to see a post with what you do for insurance, or a “guinea pig” demonstration that we can follow. Can you recommend any tax planning sites or apps? We’re about 5 years from FIRE, but haven’t decided yet where to live. I’ll be retiring on a mix of military pension and index funds and have no idea how to figure out what I might be paying in different states. I’ve never paid state taxes so I have no frame of reference for what numbers to use. I’m having a tough time convincing myself that Roth Conversions are a good move for me. We are 63 and 59, and self employed. We max out SEPs and an HSA. paying more tax, because of losing the kid deductions and college tuition credits. If I start doing Roth conversions, Should I continue with our SEP’s? If I don’t, that raises my income $16k, If I do a Roth Conversion that raises my income even further. Say I Convert $15k, that would add $31k to my income. I realize if I stay in the 12% bracket during conversion and then in 7-1/2 years when RMDs start, I could be in a higher bracket, either because of IRS tax law changes or income increases with SS, dividends and IRA withdrawals. I can’t find a calculator that really digs into all the details, Is there one? Any discusion to push me one way or the other would be helpful. i still am unable to decide if Traditional IRA is good for me…due to income levels, i cannot contribute to Roth IRA and the Traditional IRA does not give me the benefit of deduction before tax….in such a situation, is it worthwhile to invest in a traditional IRA? New to the Mad Fientist world and am working through some FI calculations. Curious about how you approach net worth. Like many, a good chuck of my retirement nest egg is in a pre-tax 401K. For FI/Net Worth purposes, do you recommend using the gross value of that asset, or a net value, knowing that it’s going to be subject to a substantive tax when it is withdrawn? That can make a big difference. Thanks and appreciate what you are doing. Huge fan of the blog; concise and so well written! Was just curious, do you have recommendations of CPAs and/or law firms for those of us who’d like to get started in real estate? When I first stumbled on to your blog I must say I was very intrigued with your take on how to get around the 10 percent penalty that 401ks have . I had never heard of the technique you described about rolling over your 401k into an IRA and then rolling over to a ROTH before. I’ve got about 8 years before I turn 59 1/2 and I just want to get the five year rule on rollovers to a ROTH straight before I take the time to go to a CPA. I have enough cash to live off of for the next 8 years while waiting to turn 59 1/2 so my income will be 0. I understand that once I rollover an amount to my ROTH I will have to wait 5 years to tap it. But what about after I’m 59 1/2. For instance, if I roll over an IRA to a ROTH when I’m 58, will I have to wait till 63 to tap it or am I free to access it 59 1/2? P.S. Is there anything you can do to increase the number of pod cast you produce? I really enjoy them. One that describes a typical execution of the 4 percent rule would be nice. I have the option of contributing to my firm’s 401K with after tax dollars. I intend to hit the 401K max ($19K) for 2019 and we’ll also max out our ROTH IRAs. In addition to this, are there obvious pros/cons to doing after tax 401K contributions? No in service withdrawals allowed at my firm (without cause) so back door ROTH isn’t an option and I’ll be employed here for another 10-15 years at least (fingers crossed). Hi Mad Fientist. I love your site and podcast. I have a question about the Capital One Savor Cash Rewards card, that I haven’t been able to find an answer to online. Can I cancel the card after earning the $500 reward and before the first year ends without incurring any fees / penalties? Also, I’ve read somewhere that not all purchases count towards the $3,000 you must spend in the first three months. I have a homeowners insurance payment due in a couple months and was hoping to use the card for that. Would that count towards the $3k? Thanks. I am just getting started w/ trying to figure out my years to FI. There are 4 different planning tools, which one is the most basic? I have an old Mint account but I need to re-link everything so I plan to switch to Personal Capital so I can track investments. Which planning tool works best w/ Personal Capital. I have an article request, I didn’t see an email to send it to. What financial steregies should I use to take advantage of a sabbatical. I have significant retirement and no retirement savings. Not enough to fire at the level I want to. We are planning on doing a sabatical, if it is cheaper than we think or the market does awesome it might turn into fire. While on sabbatical, should I keep putting money into a Roth and HSA? Should I sell appreciated stock up to the no capital gains tax limit and reinvest it? How else can I take advantage of having very low taxable income? What pitfalls, like wash sales, must I watch out for? Should I start and end the sabbatical partway through the year to spread the income over two tax years. I have lots of ideas, but I think this subject it ripe for the graphs you are so good at. Your blog is great. I just reread the Roth vs traditional article as I did my taxes to make sure I was doing it right. Don’t have any specific question, but I just wanted you to know that my fiance and I actively listen to your podcast and it’s really changed that way we look at our finances and how we live our lives. We both have advanced educations, giving us >$300,000 of debt and while we’re naturally frugal people, your podcast has helped in more advanced money saving/investing strategies and just general ways to live better lives. You seem genuine and down to earth and we really appreciate what you’re doing – thank you! I currently have a roll over IRA from a previous employer and a Roth IRA, both at C Schwab. My combined household income exceeds the limit to allow a contribution to my Roth IRA and my wife’s Roth IRA. I was informed that based on the value of my roll over IRA ($500,000), that a back door Roth was not allowed. A coworker shared that the mega back door Roth has different rules and because our employer allows in service distributions, I would be eligible to use this strategy. Is this true?